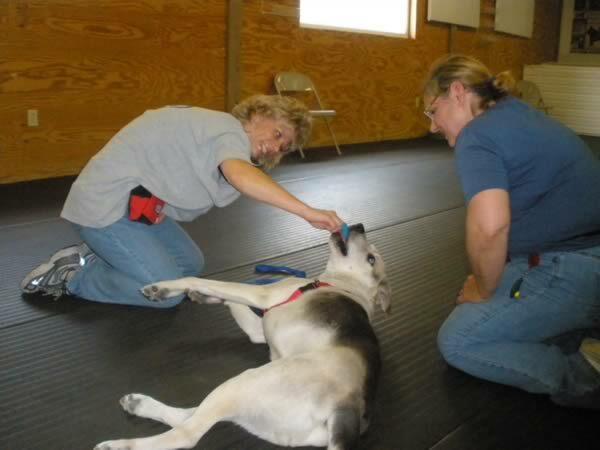 Yesterday was the closing day of yet another Peaceable Paws Academy – this one our Level 2 Instructors Course. 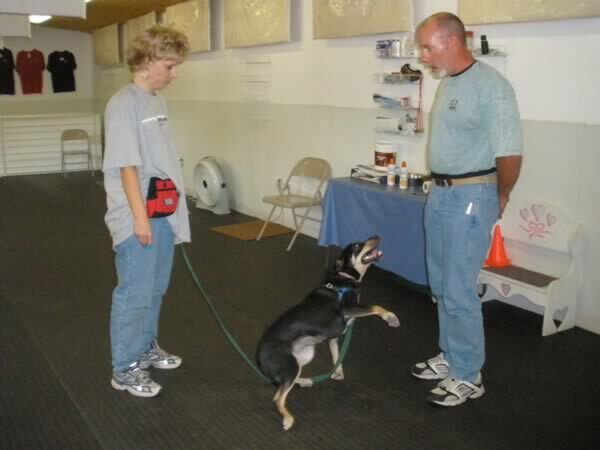 We tend to not get as much interest in this one as our Level 2 Behavior Modification (BMod is sexier), but it’s an excellent opportunity for trainers to hone their teaching skills – teaching humans is a very different skill set from training dogs. The students take turns teaching our Peaceable Paws Basic Good Manners exercises to each other, and as we do in our Level 1 Academy, students are working with shelter dogs. We also had two shelter employees, Heather and Kelly, attending the class, so our Academy students can get input from “real” humans as well as their co-students, and Shirley and me. 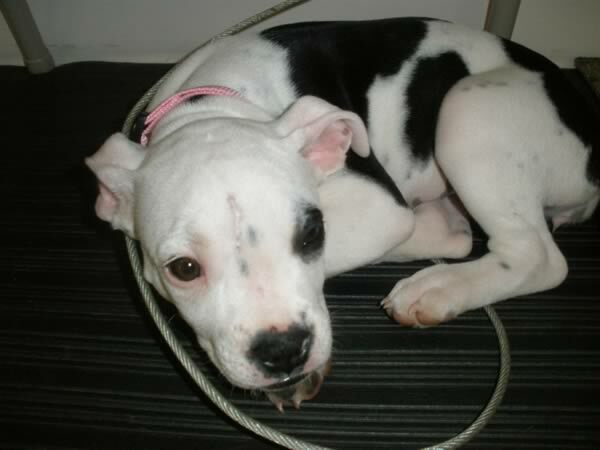 And Kelly worked with her own recently adopted and very adorable puppy, Pippy, one of a litter of three maybe-Pit mixes – Kelly calls her a Bulldog mix, but actually I think maybe Pit-Boston Terrier mix. Each day we start the morning with a discussion about teaching-related topics, principles of behavior and learning, and/or review the previous night’s take-home quiz. 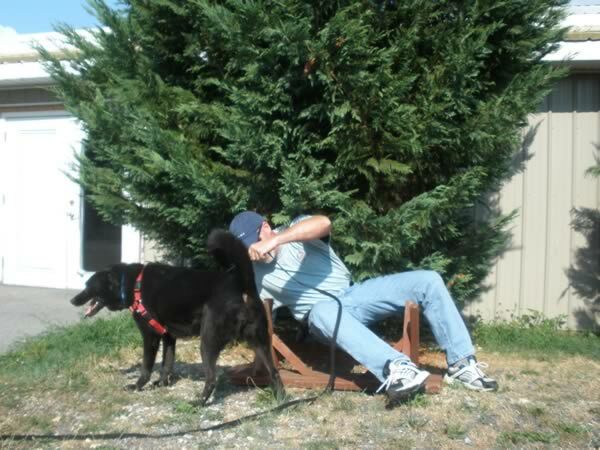 When the shelter dogs arrive everyone gets to go for a hike to work out some of the shelter kennel stress. Then we convene in the training center for the day’s lessons. Each instructor teaches his/her exercises, then we break while everyone fills out their evaluation sheet for that teacher. Then the next instructor teaches. We video the sessions as well, so we can critique as a group later. After lunch we do one-on-one coaching sessions, which are also evaluated and critiqued, and then end the day with more group discussion on a variety of topics including marketing a training business, developing a class curriculum (each student has to write up their own to present and hand in on Day 6), and ethical dilemmas. It’s intense, especially if you’re not accstomed to being evaluated and critiqued, but students tell me they learn a lot! On Day 6, Saturday, we start with the 2-hour written final exam. Although the quizzes are take-home, open book, the final is not. As students finish up the exam their dogs arrive for the last time from the shelter, and they get to take them for one more hike before the afternoon practical final. Good-byes are always teary as students load their dogs into the van to return to the shelter after the practical. 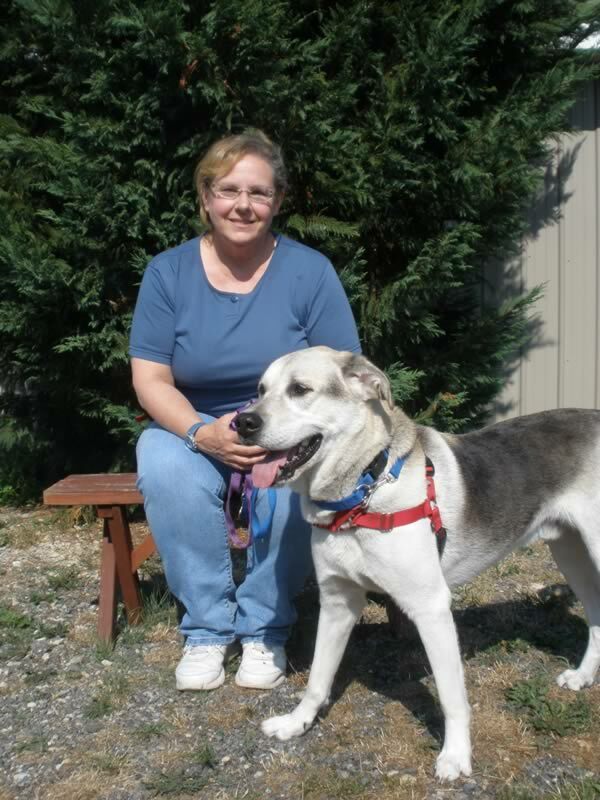 The Humane Society of Washington County is a full-service, open-admission shelter, so while they have an admirably high adoption rate, adoption dogs are rarely but sometimes sadly euthanized. Occasionally a student even adopts her academy dog during the week, but not this time. Side-note: This set of good-byes was particularly hard. 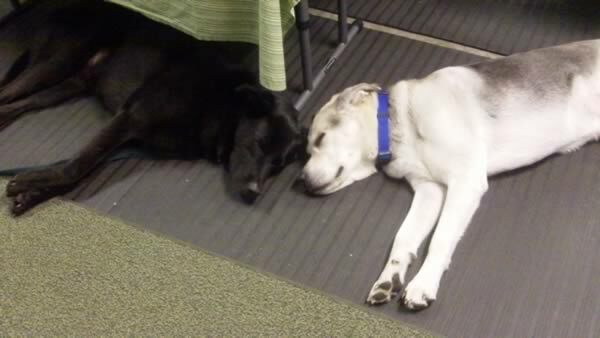 Two of our academy dogs, Rocky and Dixie, were older, and owner-surrendered from the same home. Dixie in particular was having a hard time with the stress of the shelter environment, and tended to be quite vocal about it – a behavior likely to be a turn-off for prospective adopters walking past her kennel. We suggested the shelter keep her kenneled with her “brother,” Rocky, which helped a lot with the vocalization, and we are hoping they will doing a story on the pair to tried to get them adopted together as a “two-fur.” At PPaws the two were wonderful – we often let them roam the training center while we had our discussion sessions, and you barely knew they wee there. They would be a perfect adoption for someone looking for a ready-made pair of family dogs. (Spread the word!). Heather Smith, now Heather Smith PMCT (Pat Miller Certified Trainer) came away from this academy with high-scoring honors. She has earned her PMCT by virtue of completing the Level 1 Academy (Basic Dog Behavior and Training) and both Level 2 Academies. We just started offering this title last year, and Heather is the 29th PPaws student to attain it. Congratulations Heather!!! 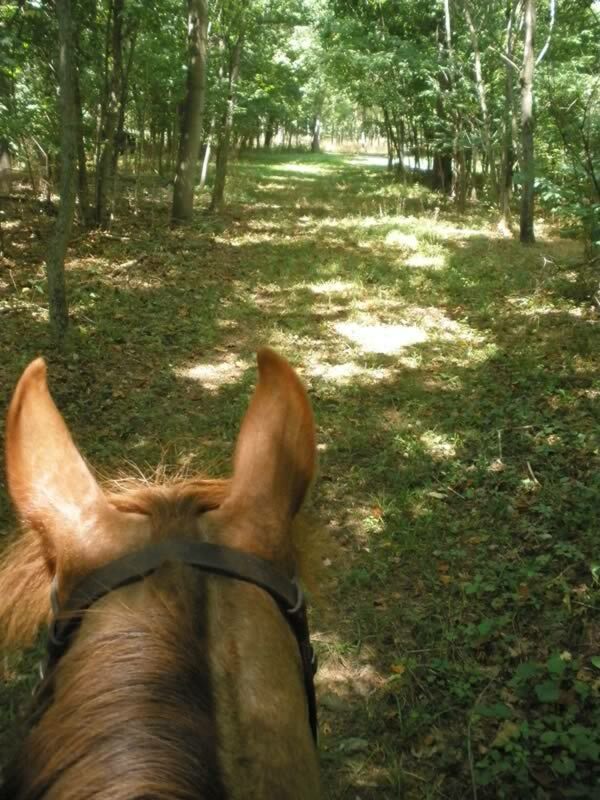 After all our students had departed and Shirley and I finished tidying the training center, I decompressed with a ride around the farm on Mikey. Paul recently mowed a new trail with the tractor, and it was wonderfully relaxing to explore new territory with Monarchs, Mourning Cloaks and Tiger Swallowtails sipping nectar from wildflowers all around us, brilliant yellow goldfinches picking seeds from the thistles, and red tail hawks soaring overhead. PS – No entries in the contest from last week’s blog yet… anyone working on it? Like my week at the L-1 Academy last November, this was an excellent experience. It will take a while to assimilate all the learnings, so rich and challenging was the course. There’s nothing to help you learn and improve your training skills like teaching the material yourself. Thanks to all the wonderful people and dogs who helped me learn at Peaceable Paws, and to all those who supported me during the week via email and Facebook posts. I know how lucky I am to have all of you in my life! 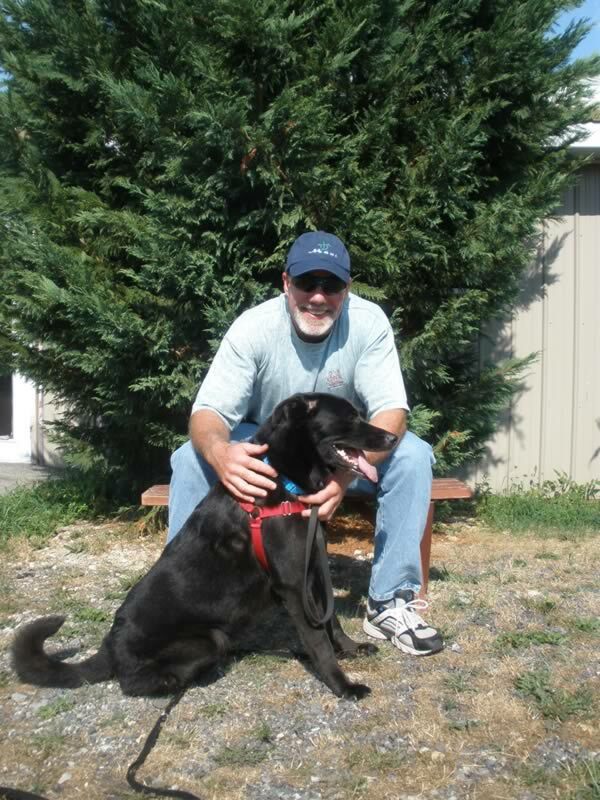 Bob – it’s always wonderful having you here – I’m glad you’re enjoying your PPaws experiences! I agree with you. I think Sierra is a Kelpie. I have two at home and, even before I read your comments under the photo, I was thinking how nice it was to see a Kelpie on display. I can’t tell if there is any mix from the photo, but I suspect not as she does appear purebred from where I am sitting. I so wish I was able to take one of your courses, but I am a little far away as I live in New Zealand. I do have all your books though – apart from the latest one which is still on my wish list. Keep up the great work! Thanks for the Kelpie confirmation, Debra. Maybe someday you can come over here and play – and boy, I’d love to visit NZ as well! Not only does Sierra *look* like a Kelpie but she acts like one as well – high energy, brilliant, very tuned in to the human who was working with her. I’m hoping she gets the right home – like most Kelpies she’ll be a star in the right environment and a disaster in the wrong one. We give all the shelter dogs who come to Academy a certificate for a free 7-week Basic Good Manners Class – she’s one I’d especially love to see come back. 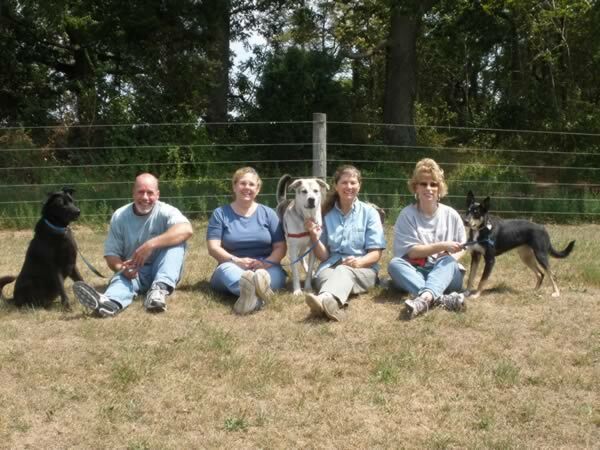 Sounds like a great group of trainers and the dogs always benefit. I got a chuckle from the photo of Bob & the Bench. Looking forward to the Advanced Behavior Course in September. Oops, gotta run……there’s studying to do! Me too, Lisa – I’m especially excited s this is our first Level 3 Academy – you guys get to be the Guinea pigs, but I think it’s going to be huge fun. Yep a week at Peaceable Paws is total immersion in the learning experience. Exhausting, exhilarating, challenging , and rewarding. Sounds like there are some great new teachers out there. I agree with Sierra’s labelas a Kelpie. 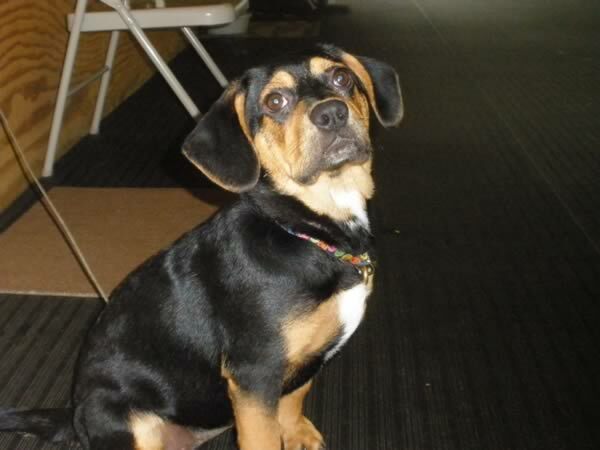 We have several in our club, they all look pretty much identical to this dog. Jessie often gets labelled as one but her head and ears are very different and has slightly thinner build. Haven’t seen any herding instincts in her! 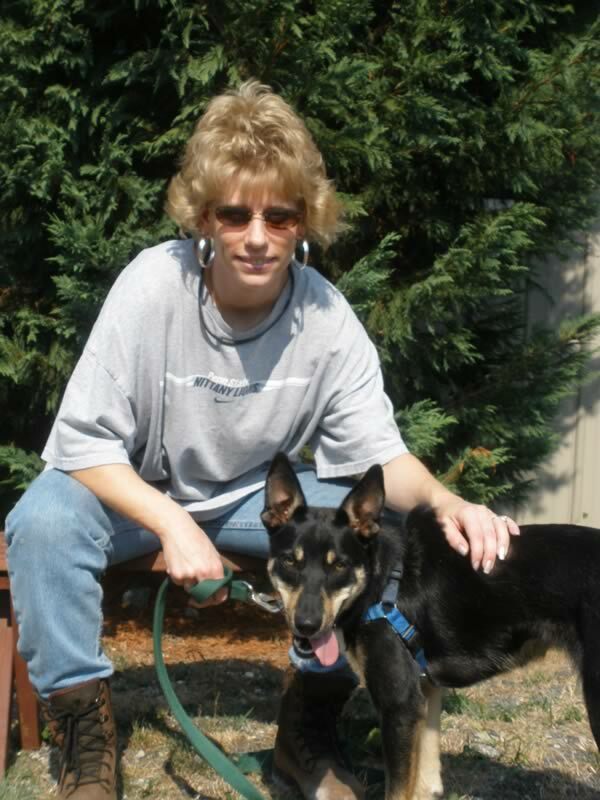 (She’s likely a GSD/BC X Min Pin) Take a look at her ‘how to’ videos! Too bad we didn’t live closer. I’d come and have a look at her-and maybe add her to our family! Sounds like she’d be the perfect performance and demo dog! Too bad indeed – she does have great potential as a performance dog. Congratulations Heather! You were a great help to me at RR this summer! ← CONTEST: Where in the World is Pat Miller?